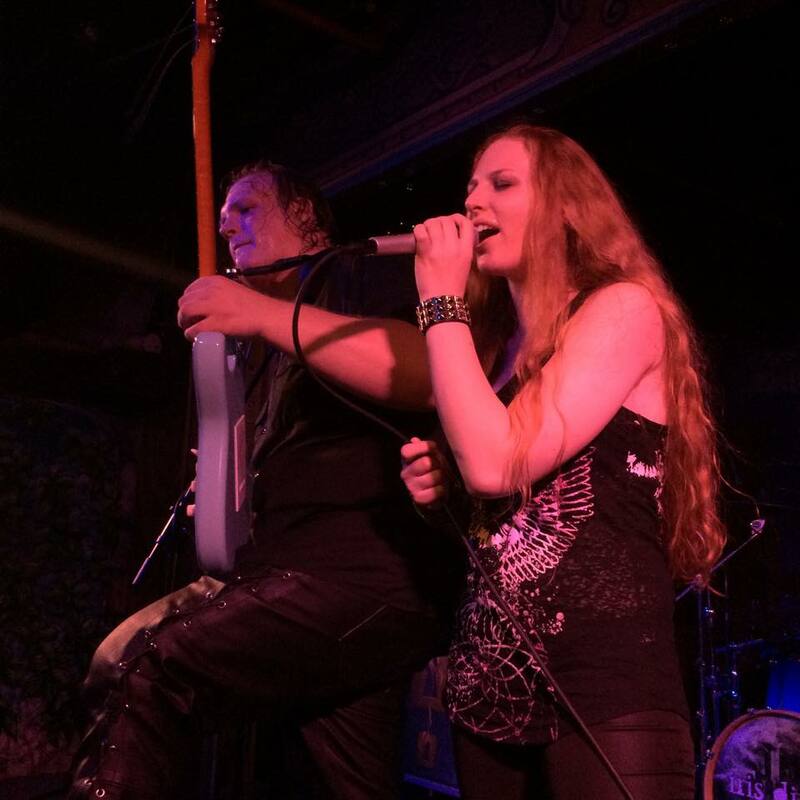 This Boston-based traditional metal act Iron Will contain a couple of Ravage members for those familiar to the former Metal Blade power/thrash band – vocalist Al Ravage playing drums, while guitarist Eli Firicano handles guitars here as well. The quartet also contains Rich Berte on bass and Tony ‘The Metal Duke’ Canillas on vocals- founded in 2000 they finally issue their debut full-length Life Is Your Labyrinth to start 2018. Good things come to those who are willing to slug it out in the trenches, and as such we have a 12-track record that should delight those who love old school riffs, headbanging tempos, and easily memorable choruses. The template Iron Will prefer to follow resides in those late 70’s to mid-1980’s pure metal lines: catchy rhythms that send off cultural themes, pounding drum tempos that feature entertaining fills/rolls, topped off by the unique ‘all in’ shrieks and passion of The Metal Duke. Opener “Conqueror” gravitates towards Running Wild-ish power runs over an early Metallica feel in terms of the drumming, while “Nemesis” contains those biting riffs that Judas Priest delivered on “Running Wild” if channeled through a bit of that early 80’s Accept tastefulness. Whether shifting into overdrive for “The Agony of Uncertainty” or ping-ponging between tight triplet strokes and open NWOBHM movements during a laid-back “The Wolf” arrangement, it’s clear that the quartet possess enough versatility while still pounding out effective anthems. Favorites include the early Maiden-ish feel for “Nightmares” with the chorus following the riff closely, the eerie narrative meets piano-oriented atmospheric follow up “The Dream”, and Teutonic-fueled “Rising” featuring those riffs that raise fists and make consumers pound beers at will. Tony’s delivery has that every common man emphasis – an elite, trained voice this is not, more like Lips from Anvil or a rougher around the edges Paul Di’Anno. As such, he becomes a cheerleader for the cause – the passion and spirit of heavy metal coursing through his strained highs during “Rising”, all the way through the ‘steel meets steel’ cause that he champions on closer “The Iron Will”. 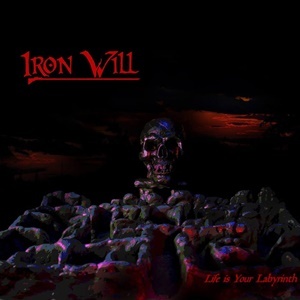 It will be a love it or tolerate situation for the metal public, but the quality songwriting and catchy nature to the tracks will probably weigh things in Iron Will’s favor long-term for appeal. Life Is Your Labyrinth as a record is a testament to the eight-year labor of love recording this album has for its band members. If Di’Anno-era Iron Maiden, pre-army fatigues Accept, and classic Judas Priest matter to your discography, Iron Will needs some space in your collection.